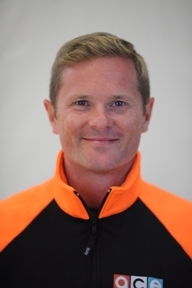 Andy Sutton is a fully certified Coach 3 and Club Pro 3, a CAC Master Learning Facilitator, and a member of the Tennis Professional's Association. He is currently the Tennis Director at Unionville Tennis Club. Andy has been involved Course Facilitation since November 2006. Andy's involvement in tennis grew from being a provincially ranked junior to teaching in summer junior camps and finally to a full-time career as a tennis pro. He has a wide breadth of experience having taught in the Parks & Rec stream, learning about community clubs from being the Head Pro at Rosedale Tennis Club, exploring the world of commercial clubs after spending 15 years with the Mayfair Clubs, and finally experiencing the private club realm as a Senior Professional at the Toronto Lawn Tennis club. He credits his love of seeing students excel as the prime motivation for choosing tennis as his career and feels that the range of experiences makes him able to tackle the role of Head Ontario Course Facilitator. 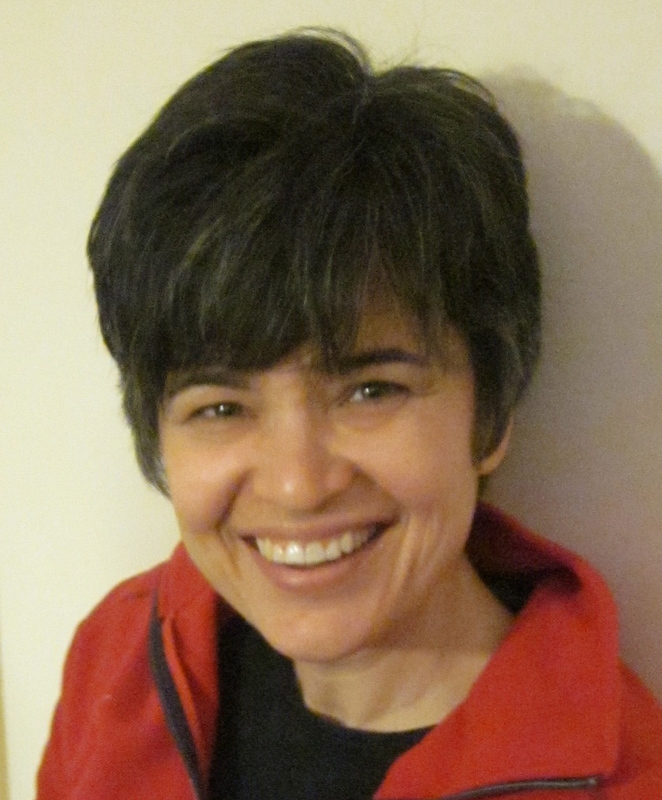 Rouba is a Tennis Canada Coach 2, ITF coach level 2 and holds an M.s in sports and physical education. After a successful career in Lebanon as a head coach and the school’s tennis initiative coordinator in one of the biggest schools in the country, Rouba moved to Canada in 2011. She currently works as the assistant Tennis director at the Ontario Racquet Club. She also leads some of the academy U10 performance programs. Rouba has a strong educational background and started using the progressive approach in Tennis almost 25 years when it was first introduced in Europe. After being part of the team behind the development of the “learn to Play” curriculum, Rouba became fully certified as a course facilitator for the OTA. She is currently working on developing “kids’ tennis” which will be the first online course to be offered by Tennis Canada. In addition to his role as a Course Facilitator for the OTA, Arthur is a Certified Club Pro 2 and Club Pro 3 Candidate with Tennis Canada. He is also a Wheelchair Tennis Certified Coach and a Certified Cardio Tennis Instructor. He is a member of the Tennis Professionals Association and is also a PTR certified professional (since 1999). He has been a Tennis Professional at the Ottawa Athletic Club, a Tennis Development Centre (TDC) since 1999, and has coached national level players. He is also the official Physiotherapist and a coach for the Noble Tennis School. In addition, he is a clinical manager and owns two locations with Professional Physiotherapy Centres in Ottawa and is a Certified Active Release Technique (ART) Provider and a member of the Acupuncture Foundation of Canada since 2000. Arthur is heavily involved in the grass roots program for Junior Development. He founded the Professional Tennis Institute (PTI) in 1992, is the Head Pro of four community clubs in the Ottawa area since 1994 and runs a successful summer camp at Mt Ste Marie (since 2004). Arthur also received prestigious recognition from Stanford's Who's Who, an organization that empowers executives, professionals, and entrepreneurs around the world whose mission is to recognize successful individuals in multiple industries. Scott's tennis career started over 25 years ago in Ontario with a part-time position in a summer tennis camp and has taken him from seasonal community tennis clubs to year round commercial and private clubs. Scott has managed to make a career out of his pastime. Scott has an Honours B.A. 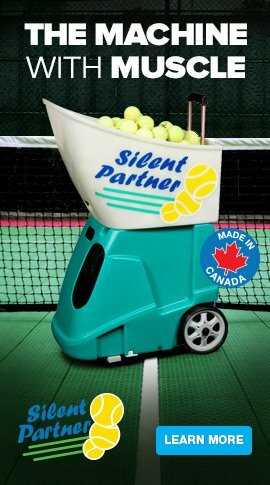 in French and English, is a certified Tennis Canada Coach 3 and Club Pro 3, a Master Racquet Technician through the U.S.R.S.A., as well as a Course Facilitator with Tennis Canada. Currently holds the position of Junior Development Coordinator at White Oaks Resort in Niagara, he has been featured in the Toronto Star, and Toronto Life Magazine once deemed his programs "Best in the City". Scott is a two time Canada Games Coach (2009 in P.E.I. and 2013 in Sherbrooke) and has represented Canada as a Coach at the World University Games (2013 in Kazan, Russia). His love for tennis and teaching can be seen every time he steps on court. 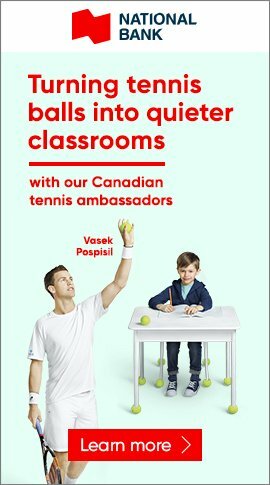 While he has had many successes coaching at both the provincial, national, and international level, he is equally as passionate about the moment when a child or adult hits their first tennis ball. 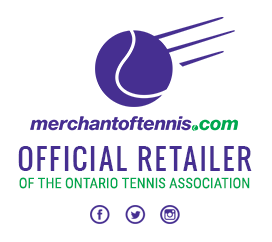 Jean is a fully certified Level 3 Coach and a current member of the Coaching Association of Ontario as well as the newly established Tennis Professionals Association. She has been a Course Facilitator for the past 10 years and is involved in both the development and implementation of the coaching certification program at the Instructor Level. Jean's love for tennis can be seen in her enthusiasm and dedication to coaching development and grassroots initiatives at the local and provincial level; certification courses are just one way that she gives back to the sport that has provided her with much success and enjoyment (in fact, Jean met her husband on the tennis courts). Jean's career in tennis began in Scarborough at Heron Park Tennis Club, where, as a junior competitor, she was ranked provincially and nationally. She still enjoys competitive play, and participates in daytime and evening inter-club leagues as well as O35 Senior provincial tournaments. Her professional career in tennis spans some 25 years; he breadth of involvement has helped many aspiring juniors attain university scholarships while at the same time encouraging newcomers to the sport to develop their skills and to integrate successfully into their club environments. Jean also has a strong sense of community involvement and, among many positions, has volunteered on the executive of her local community summer club; in addition, she has assisted in hosting numerous provincial and national events, including several U14 Junior Nationals events and at the Ontario Summer Games ('94). A Head Tennis Professional many times over throughout the province, Jean is now a full-time mother. She, and her husband Rob, now have two wonderful girls (who share their parents' love of sport and the outdoors, if not yet for tennis). N.B. Jean was recognized in February 2011 by Tennis Canada with a special Course Facilitator Award for her consistent demonstration of excellence in the area of facilitating certification courses in Canada. 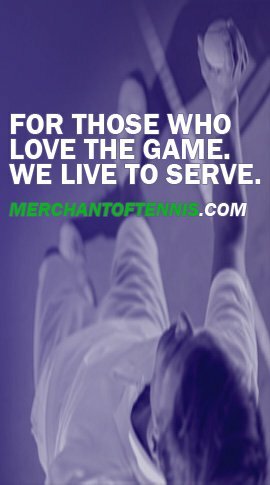 Craig has 18 years of coaching experience and is currently the Tennis Director at Toronto Tennis City and ACE Tennis, Toronto. He holds a Master of Sports Management from Bond University in Australia, is a Tennis Canada Coach 3 and Club Pro 3, and was a Provincial Coach for Team Ontario from 2013-2016. As a former top level junior (#3 in Canada, #1 in Quebec, #1 in Atlantic Canada), Canadian Men's Open player #19, and #1 player for the University of Toronto, Craig has coached Provincial and National Champions and has extensive experience coaching players of all ages and levels. Known for his passion for the game, Craig says he is involved with course facilitation because he hopes to inspire people to pursue a professional coaching career who will help grow Canadian tennis to new heights. Brian is a fully certified Club Pro 2/Coach 1. He is a member of the Coaching Association of Canada as well as the Tennis Professional Association. He has been involved in the certification program since 2003 and has been a Course Facilitator for the past 4 years. Brian grew up playing and teaching at the family orientated Southampton Tennis Club, one of North America's largest not for profit clubs. He played junior tennis both in Ontario and the U.S. achieving Top 20 provincial and state rankings. Brian has more than 20 years of experience in teaching and coaching all levels of players, in 4 different countries, at a variety of private, commercial and community clubs and resorts. Brian was the Head Professional at the Southampton Tennis Club for 6 years and the Assistant Director of Tennis at Timberlane Athletic Club for 7 years. Combining travel and tennis has kept Brian's love of tennis alive, and being involved in the certification program allows him to give back something to sport that has given him so much. John started playing tennis recreationally at the age of 5. He began teaching when he was 16 years of age at the St. James Community Tennis Club in Ottawa where he has been teaching for 10 years and has been playing at for more than 20 years. Since he started working there, the membership has doubled and the number of children taking lessons has almost tripled, in large part under his direction. Between December 2010 and February 2011, he completed his Club Pro 1. In 2008, he graduated with a Bachelor of Science (Chemistry) degree from McGill University, where he competed on the varsity tennis team for four years. 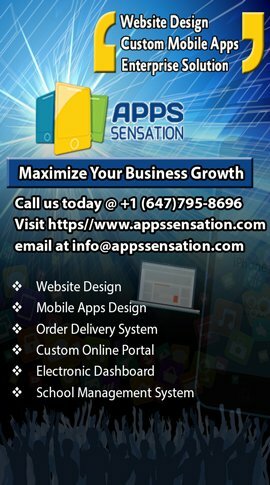 He is recognized as one of the top players in the Ottawa region and he competes regularly in Open category tournaments. On court, he is known for his patient and analytical approach in developing players of all ages and abilities. He has a passion for teaching and playing. John's favourite tennis player is Roger Federer.